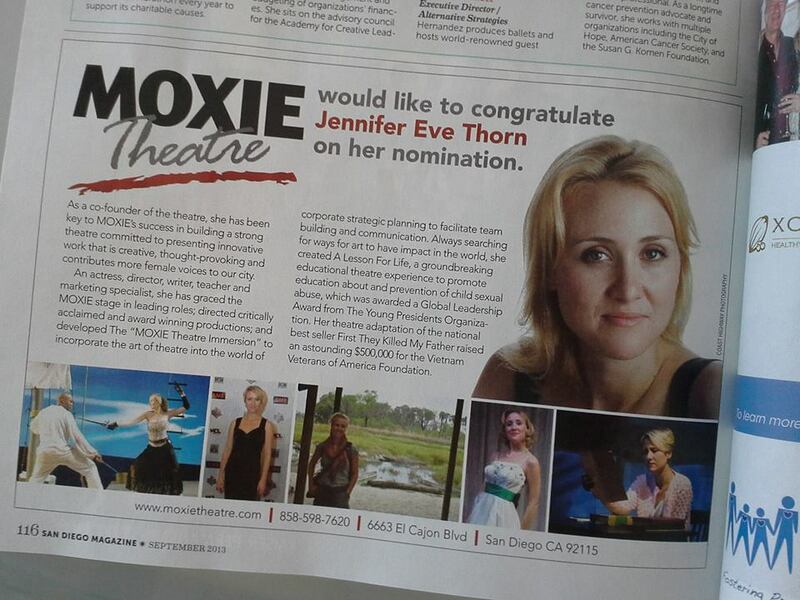 We want to take a moment to give a shout out to our dear friend, Jennifer Eve Thorn of MOXIE Theatre, who has been nominated for San Diego Magazine’s Woman of the Year Award. The awards ceremony will take place at the Westin Gaslamp on Tuesday 9/24. LEO DUO cannot wait to see what happens! Either way, she is a winner to us. Keep up the good work, Jen – you are a fearless, gorgeous, and amazing woman, and you inspire us!